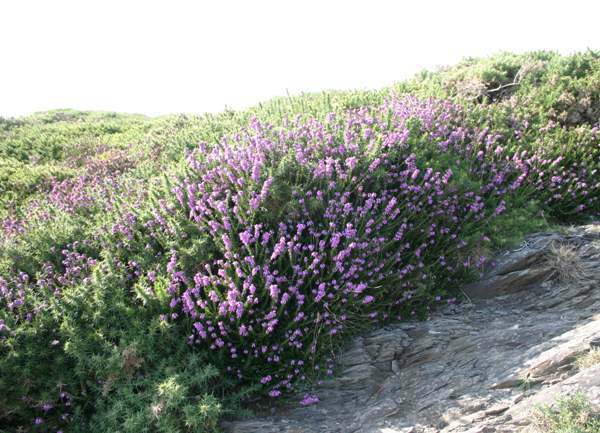 This short heather species prefers drier heaths and moorland; it is sometimes found on the fringes of sparse woodland where plenty of light pierces the canopy. 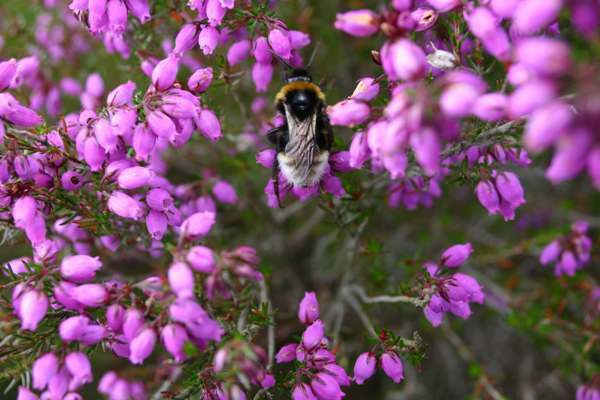 The slopes of upland lakes are often covered with heather, and bell heather is a plentiful species throughout the UK. The first flowers appear in May, and continue to bloom until the end of September. The plants shown on this page were photographed in Anglesey, North Wales in June.